£7.50 for both clubs when used on the same day. Breakfast Club- Breakfast is provided for children- cereals, toast, fruit & water/juice. What time should I drop off /pick up my child at a camp? Our coaching hours are 10am to 4pm. Breakfast club begins in the morning from 8am and Chill Out Club runs until 6pm. Both facilities are always available and cost £5 each or £7.50 for both. Your child is welcome to bring his or her own sports equipment, if they have a favourite hockey stick/cricket bat for example. However we will provide all necessary equipment for all the sports and activities your child will take part in. We encourage children not to bring valuables such as tablets etc. If these are brought they are at owners risk. 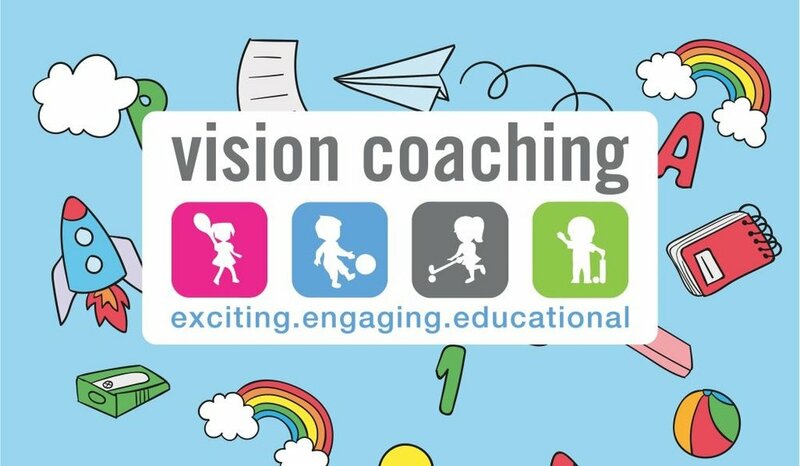 Vision Coaching do not accept any liability if these are damaged, broken or lost whilst attending camps. No, in previous years we have supplied lunch however we have made the decision to go to packed lunches. due to the food allergies and intolerances. We did not feel 100% confident in our ability to produce all the different requirements, so we have decided to be safe than sorry. Please be aware that we are a nut free zone. Every child should wear appropriate clothing for outdoor activities, tracksuits with shorts if the weather is good, it would be useful if all children could also pack a rain jacket in case we get some wet weather. We encourage all children attending to have footwear suitable for multi-sports. We always try to get outside so if its light rain we will continue as normal. However if it is heavy rain we have a variety of indoor activities for the children to do, this includes table tennis, board games and interactive quizzes. You can call us on 07542924348 at any time during camp hours to find out how your child is getting on.